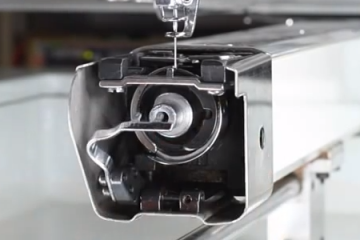 How to load a cap using the cap gauge accessory (included with machine, and in this video is the object attached to the table with the clamp). The cap gauge is a great convenience for loading caps onto the cap frame. Attach it nearby your Butterfly embroidery machine. 1. 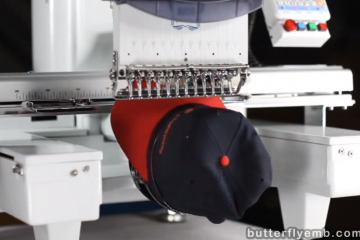 Cap Driver, which semi-permanently attaches to your embroidery machine. 2. Cap Frame, which holds the fabric/actual cap, and attaches to the driver. 3. Cap Gauge, which is a companion accessory to help you load caps onto cap frames. 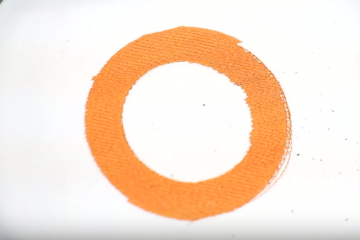 Only the Cap Gauge and Cap Frame is shown in this video.